How far along? 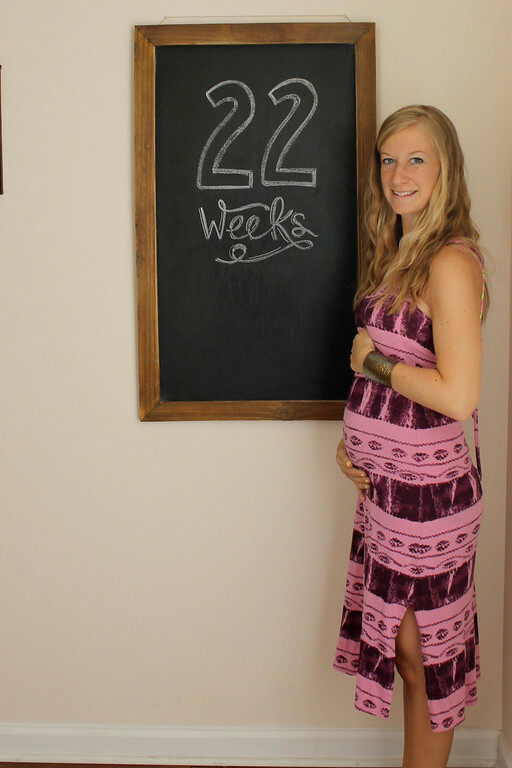 22 Weeks. Total weight gain/loss: 17 pounds gained. Maternity clothes? Mixing and matching. My regular dresses and drawstring shorts are key. Best moment this week: Turner walking into the nursery and said “baby sister’s woom”. It was so cute! It gave me hope that the transition won’t be as hard as I’m imagining. How are you sleeping? wonderfully. Movement: Oh yea! She’s constantly moving around in there. Anything making you queasy or sick: Still have queasy days. I’m still on Diglegis until I don’t feel any queasiness. Belly Button in or out? In but shallow. Happy or Moody most of the time: Definitely happy. What are you excited for? My next dr’s visit and decorating the nursery.